Article about The World´s Biggest Liar Competition held in England. 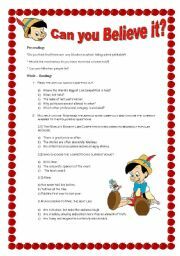 The World´s Biggest Liar (Activities about the article) With Answer key! 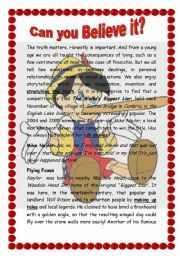 Activities about Article: The World´s Biggest Liar Competition. 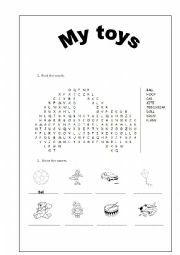 A set of Activities including: pre-reading talking to engage students, reading comprehension exercises, expanding vocabulary and also a speaking practice. Answer key on the 3rd page. 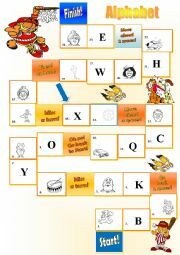 Board game to practice vocab related to family, toys and the alphabet. 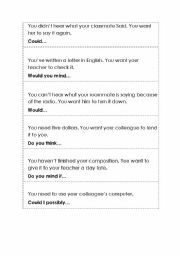 This worksheet works on very elementary vocab. 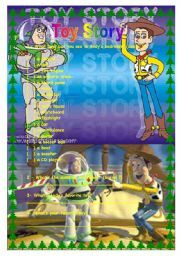 Teacher can select previously some scenes to watch in classroom it´s not necessary to watch the whole movie. 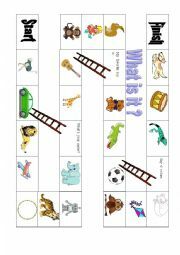 Board game to review animals, toys, colors and the structure: It´s a/ an_____. 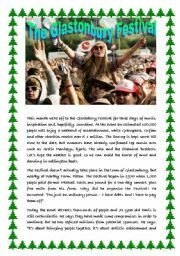 Activities about the Glastonbury Festival text. 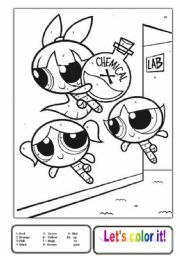 Children have to color the Powerfuff girls after reading the labels. Speaking Act card. Practicing polite requests.. Teacher can prepar games with the cards as well.